Hey guys this is Phil Smilinggardener.com, if you haven’t picked up my free online organic gardening course you ca do that right on the homepage of Smilinggardener.com. Today I’m going to be doing some planting and seeding so I’m going to show you 3 things. I’m going to show you seed bed preparation to make the soil ready, I’m going to show you sowing seeds, how to plant seeds, and planting vegetables and just planting flowers and other small herbs and things like that. So 3 things today. What I will be using today is a hoe just to get those last weeds that have come up in the last couple of weeks. You can see behind me I have some members of the allium family, a few onions, a few garlic that I could take out, it would make for a nice clean bed, but I’d rather leave them in there because then I have just more biodiversity in the garden. The next important step here is to take the hard rake and level everything out and the cool thing about doing that is when you do it it’s almost like your tilling half and inch because you’re just kind of lightly using the rake and it makes a really nice place to put your seeds into. So that’s what I’m going to do now, making everything nice and level. The mulch is on now and you can see I actually put a reasonably thick layer I just have to make sure wherever I put seeds that I don’t have too thick of a layer of straw. Another thing I was going to mention is I like to water the garden before I plant. Not right before because you don’t want to be working in really mucky soil. But like an hour before or the night before it really makes planting a lot easier. I’m kind of doing like a modified 3 sisters guild here, where I’m planting corn and beans and squash. It’s a native-American method of planting these together for all the benefits that they bring each other. And there’s actually a 4th sister called cleome so I’m going to plant a few cleomes today. As I mentioned in my video last week this corn is not ready to plant it really needs another week or so to get a better root system, so I’m a little concerned it’s going to fall apart when I plant and well I hope it doesn’t! The reason I’m planting today (as I’ve said before as well) is I’m heading out of town tomorrow for nearly 3 weeks so I really have to get these things in today. I have to seed today and I have to hope that when I get back that this stuff is all going to be alive. You always want to remove the pot when you plant. I think that’s pretty obvious for plastic but even if you have any kind of burlap or fiber pot or even like a biodegradable pot as they call it, you always want to remove it because it really doesn’t want to be in there with the plant. And I spray them with effective microorganisms and kelp and see minerals – all these kind of biostimulants I’ve talked about. On the root ball. you can spray the leaves too. And while I’m at it, I take a little bit of my mycorrhizal fungal powder, I just rub the on the roots doesn’t have to go everywhere. To plant it now I can just dig with my hands basically, kind of remove the clumps. Put it down in there and with something like this you just want the top of this to be level with the top of your soil. And then you want to fill it back in with the same soil that’s already there. It doesn’t look like that exciting of soil but I know that I amended it with compost about a month ago, so I know that it’s in good shape. And same with the fertilizers that I put in there. I really want to press it down – not that I want to compact the soil but it needs to have good soil around it. I’m going to plant 4 corns per whole about 6 inches apart just in a diamond shape and that’s one of the ways that the three sisters are put together like that. Gently, very gently kind of squeeze on the bottom of the container and push the plant out and you try not to pull on the stem other than just guiding it with the stem. Especially today I have to be very careful. Yay!! So we have a plant here, now this was one of the taller ones so it’s probably going to having a better root system but at least that came out in one piece. I don’t need to spray this with any of my liquid or mycorrhizal fungi because I did that when I seeded and I’ve been watering with the liquid throughout the week so it’s all ready to go. One corn down 47 more to go! Now we’re onto sewing seeds! And the first thing that I do before I sew seeds is, as I’ve said before, is I soak them first for about 6-12 hours in – it could be just water – but I usually include some liquid kelp and/or some liquid sea minerals and that’s going to give the seeds some minerals for when they sprout, so they have all these trace minerals they need and the kelp gives them some natural plant growth hormones that really help with that early germination and growing process. Here I have my pole bean seeds, these are what are going to climb up the corn and use the corn as a trellis and these are my squash seeds these big guys here, legumes like beans and peas do really well if they have their nitrogen-fixing inoculant on them. There may be some of those bacteria in the soil but there may not be. So if I just take a little bit of this inoculant and sprinkle it on, as I’ve shown you before. And the next one I can put on ALL the seeds is my mycorrhizal inoculant which again is in a powder form so I just sprinkle it on. I can put that on the cucumbers and squash as well. And now these are inoculated and they’re going to be that much happier. So I can dig a little hole with my finger here to plant the seed, place it down in there and just cover it up with nice powdery soil so you almost want to rub your soil between your fingers to make sure it’s really nice and powdery. I could water these in now but since I watered the garden before I don’t have to. So I’ll actually water tomorrow. And then I’ll be watering every day until these seeds germinate and then it’ll slowly decrease in the amount of watering I need to do. So if you have any questions about preparing a seed bed, or planting vegetables or flowers or sowing seeds, ask them in the questions down below. If you haven’t picked up my free online organic gardening course you can do that down below and you can come and join me and my sister over on Facebook at facebook/com/smilinggardener. I’ve already amended my soil with compost and organic fertilizers earlier in the year and I showed you a bit of that last year. Planting and seeding the 3 sisters last spring (scroll down to see the ‘after’ photo). It’s great if we can add those amendments – and work in any cover crops we may have- at least a couple of weeks before we plant, to give the soil environment time to settle. My compost and fertilizers were just lightly incorporated into the top couple of inches of soil. In fact, turning the soil disturbs the organisms living there, so once a bed is established it’s often best just to make sure the top inch of soil is free of large clods and has good tilth so that water can infiltrate, but without disturbing the soil too deeply. If you are sowing seed, you’ll also want to pull aside the mulch until after your seeds germinate. I like to water the soil the night before planting seeds rather than afterwards, to avoid dislocating the seeds I’ve just sown near the surface. I soak my seed for 6-12 hours in water, optionally with some sea minerals and/or liquid kelp mixed in, plus often with 0.1% effective microorganisms (EM) – 1/4 teaspoon per quart of soak water. The sea minerals and kelp provide minerals, plus the kelp brings natural plant growth regulators. And the EM supplies important beneficial microorganisms. After soaking, right before I plant, I sprinkle them with just a pinch of mycorrhizal fungi powder. Other than that, the seed contains all the energy the plant is going to get until it has a leaf or two to photosynthesize with. Small seeds should be planted shallowly, or they won’t make it to the sunlight. Bigger seeds like beans can be planted a bit deeper. Unless you know your seeds have close to a 100% germination rate, it’s good to plant them twice as close together as you eventually want the plants. This will make up for those that don’t sprout, and allow you to thin weaker plants if need be. As a gardener who loves each little plant, it can be hard to pinch off the weaker seedlings ruthlessly, but nature does it all the time – in a forest, not every tree that sprouts will make it to the canopy, so we’re really just mimicking the natural selection process when we overplant and then thin. Your gardening experience will also be a lot more fun if you keep the number of different varieties you plant at once down to a manageable number. This fits the permaculture principle of using small, slow solutions, and lets you have a closer relationship with your plants. I’m talking about planting vegetables today, but it’s the same no matter what you’re planting. When buying plants in a nursery, make sure the roots are in good condition. If they’re very root bound or have thick circling roots, they may never recover completely. Before removing the pots, it’s nice to set your plants out where they’re going to be planted. This lets you space things properly. When you’re ready to plant them, gently loosen the root ball by squeezing the sides of the pot. As much as possible, lift plants by grasping the container rather than the leaves or stem. Remove the pot before planting, no matter what kind of pot it is (including peat pots!). If you see a lot of roots at the edges of the root ball, you can slice them vertically with a clean, sharp knife, or use your fingers to loosen them. This encourages them to grow new roots out into the surrounding soil. If you want to really give your plants a great start, you can soak/spray the root ball with a solution containing any of the ingredients I mentioned above – water with liquid kelp, sea minerals and/or effective microorganisms. This will help ease transplant shock and give the plants some minerals and microbes. I also rub a teaspoon of mycorrhizal fungi powder onto the root ball, unless I’m planting things that I started indoors, in which case I already would have inoculated them during seeding. Then lay them into a wide, shallow planting hole, so the top of the root ball is at the same level as the surrounding soil. It’s nice to water the hole and even the entire bed the night before planting, as well as after, so the soil is evenly moist. Pat the soil down to make sure it has good contact with the roots, and voila! A new being has begun its journey through life. Any questions on seedbed preparation, sowing seed or planting vegetables? Let me know below. I’m here to help! I do include EM, but just a very tiny amount, like a 1:1000 ratio. I’ve come across that fermentation warning too, but have never had any problems. I enjoy your emailed updates, especially the recommendations for planting, etc. Do you have any plans to put this info out in a true ‘old-fashioned’ book (as opposed to e-book)? Your book on soils was a pleasure to read, and I’d love to read more outside the online environment. Thanks for the prompt reply. Your Building Soils Naturally book started me on a path to read several other Acres USA books (more on the permaculture end of the spectrum) and to look into more technical/scientific texts about soil science as well. I teach online, so I prefer ‘hard copy’ for my pleasure reading. I will continue to read your blogs until you put out that next book. Thanks for the work you do! Hi, Phil -I am a newcomer to your website and already loving it! I am in the process of hand digging up the top 8″ of very rocky clay soil for a flower bed. Its day 3 of a big job – 4′ x 60′ – and my fingers are soooo sore! I bought some Glacier Gold compost but I’m a little disappointed in how many large pieces of bark are in it. Which is YOUR favorite compost / soil amendment? Other than my own compost, if I have to bring in compost, I always buy it in bulk from a local garden center or topsoil/mulch supplier. It usually costs $20-$40 per cubic yard, so a much better deal than bagged compost. I’ve actually never purchased the bagged stuff, so I don’t know the brands. Hi Phil,Can you recommend a vegetable seed company or a website that sells quality seeds? Try Johnny’s Seeds for a great variety of seeds. Prompt service and reasonable prices. Seed Saver Exchange is a non-profit specializing in all organic and preserving diversity. They are awesome! After that try Botanical Interests or Territorial Seed Co.
EM – 1 TbspSeaweed – 5 TbspSea Minerals – 2-3 TbspWater – 1 gallonIt’s best to use it within a day because the EM doesn’t want to sit in the water for too long. You could spray the seedlings and then use the remainder of the mix to water them after planting. Ya, it can be tricky to find. I have used conventional straw with no apparent problems, but it certainly would have had some pesticide residues on it – as for how much of an effect that would have on the garden, it’s hard to say. 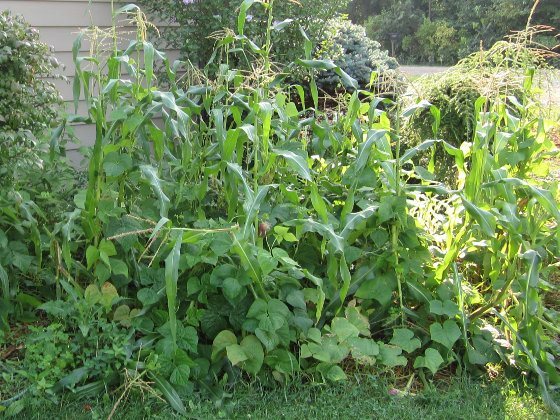 If you can’t find it, the next solution is to grow it yourself as a cover crop. I can see the sunlight aspect to pulling aside the mulch until after your seeds germinate. However, lasagna gardening drops the seeds directly into the top layer of mulch and lets them germinate and send roots downward – so why not do the same thing in the mulch covering a soil garden?Thanks for all you do. The seed just needs moisture and the right temperature to germinate, and then in either scenario, if it finds some soil, it can grow. In my experience, sowing seeds into a sheet mulch often doesn’t work very well, but if you have a layer of compost or soil in there, it can sometimes work. 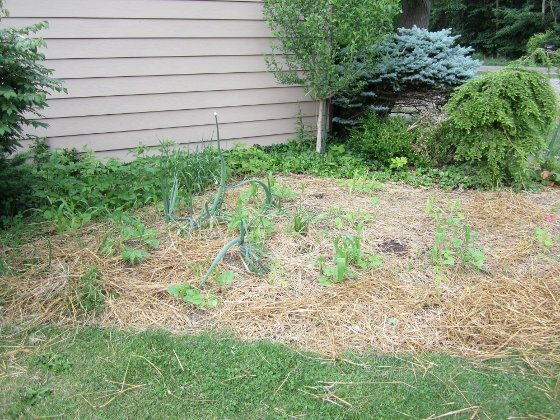 With a regular mulch, if a seed can get through that mulch layer into the soil, it can work. The measured plot was ploughed by means of spade. Weeds and other stubbles were totally removed from the plot. So, Is it okay to spray EM on plants that have veggies growing on them? Absolutely. Just try not to spray too much on flowers, as they can be quite sensitive.